No More Crumbs!!! My Toaster Tray! I don't know about you, but I hate having things on my counter....I am speaking of appliances. I like them tucked away in a cupboard until I need them. But.... my toaster has been making me insane, or rather, the crumbs from my toaster. They have been spreading to the counter, the floor and the whole inside of my cupboard when we put it away. And. I. Hate. It. 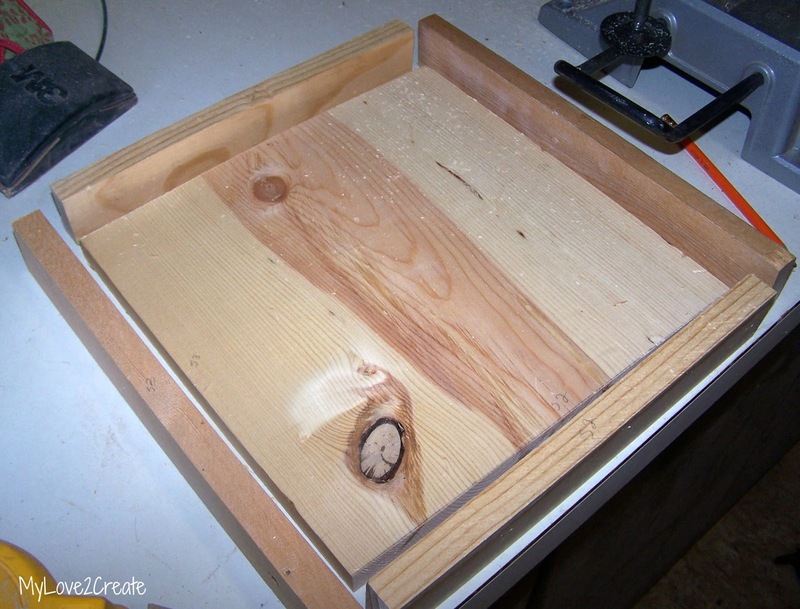 I decided to build a simple tray that is cute and very, very good at doing it's job, making my counter and cupboard clean from crumbs. Yippee! 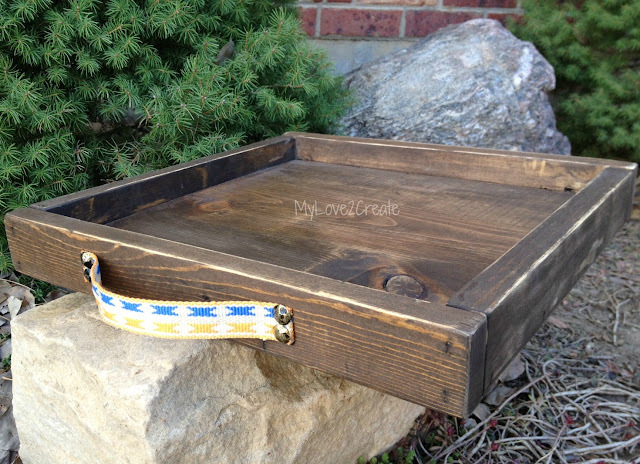 Plus, it could be used as a tray for other things too....Isn't it fun!? I started by measuring my toaster. 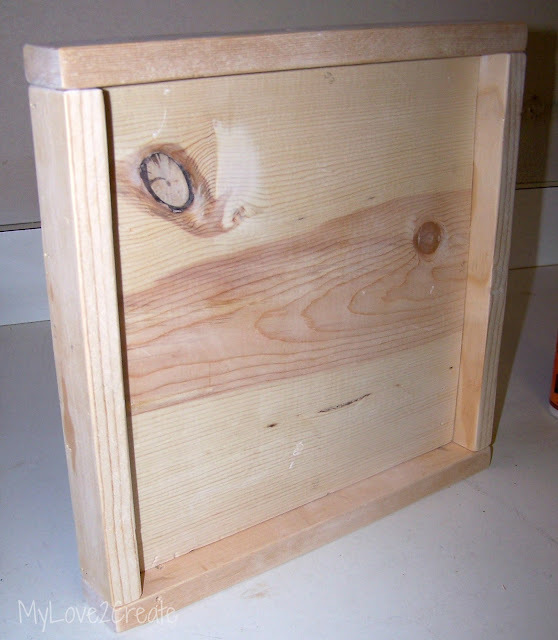 I decided to make the tray a bit bigger-it ended up 11inches by 11inches for the bottom piece. And then measured 1x2's for the four sides. I used all scrap wood I had on hand. After sanding, I glued the two short sides on and nailed them in place. The short sides are the same width as the bottom piece. Then I glued and nailed on the long sides, they are the width of the bottom piece with the two sides nailed on. I usually just cut the pieces as I go, it is easier that way when I am just winging it. I was on a de-crumbing mission. I asked my husband if I should paint or stain it, he went with the stain, as always. 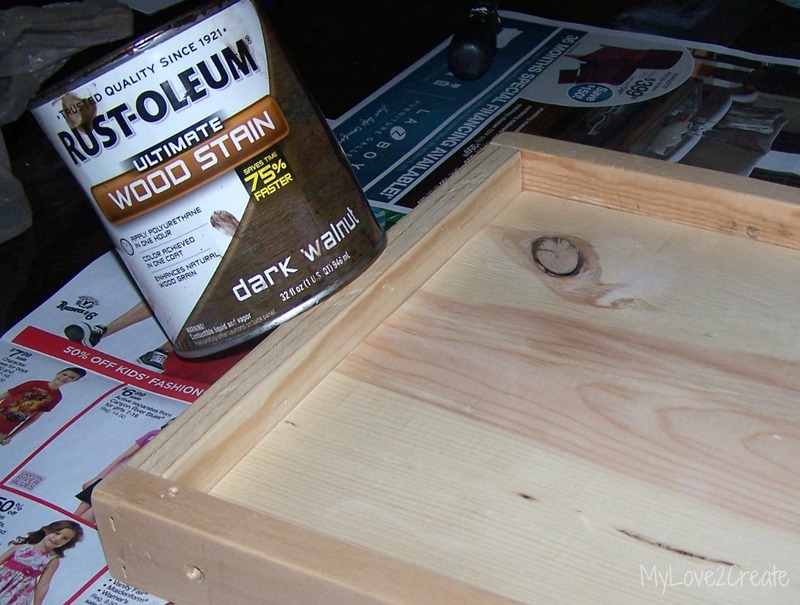 I stained it and waited less than an hour (I am too impatient), thank goodness Rustoleum stain dries fast! I gave it a quick sanding. Then looked through my handle stash-nothing I wanted. I ended up finding this cute strap instead. I'll be you can't guess what it used to be? 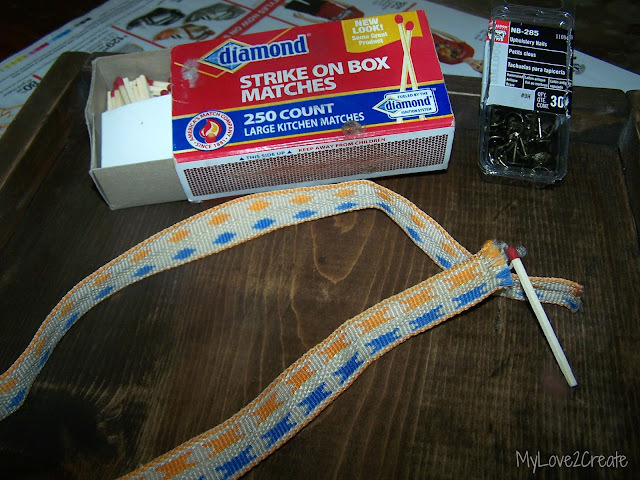 Ok, I will tell you...It was a strap attached to a ball (a dog pull toy) that my dog destroyed in less than a minute. Buck has very powerful jaws, and I couldn't bear to throw this cute strap away. I am so glad I didn't! I cut two pieces the same size and melted the ends to prevent fraying. 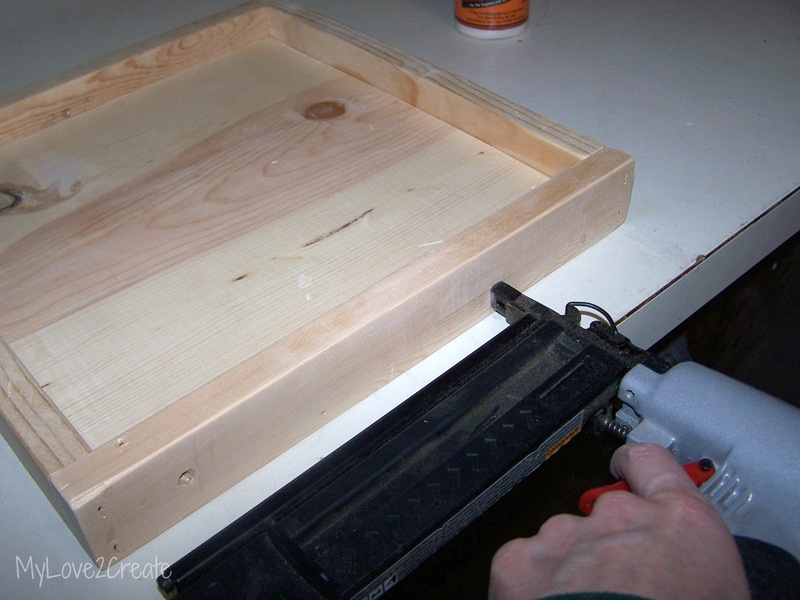 Then I used upholstery tacks I had on hand and nailed them on to opposite sides of the tray. It fits! But does it fit in the cupboard? Why yes, yes it does!!!! Do you like my broken toaster handle? Just keeping it real folks, at least it still works! oh my gosh...this is totally genius! People have to deal with this every single day, and now you solved the problem. This should go viral. I love the main picture. Totally awesome! You're awesome! This is one totally awesome solution to a problem most of us have to deal with but do nothing to fix it! The stained tray looks great! love the stain choice...sometime stain works better than paint. that's a crumby solution! Um...can I buy that from you???? Seriously!!! You should sell these! 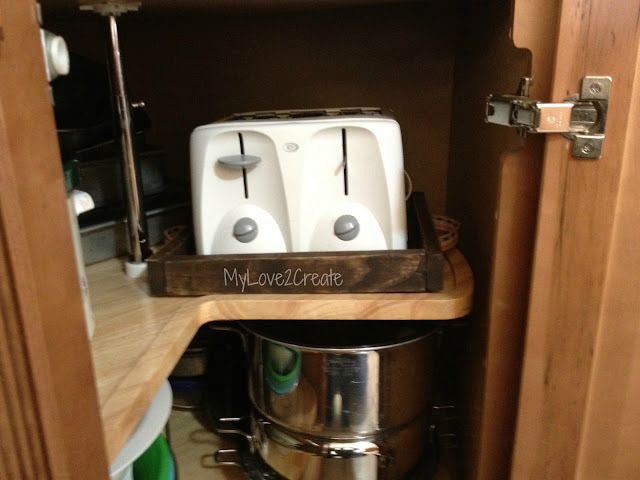 You must have been in my home this morning as I was trying to vacuum out the cabinet where my toaster site...it drives me nuts! Holy cow this is genius! You need to open an Etsy shop..do you have one already??? I meant to say sits! Great work friend! This is brilliant! I am totally pinning this and making one ASAP! I agree with your husband. I hate paint on wood. Oh that is fabulous!! 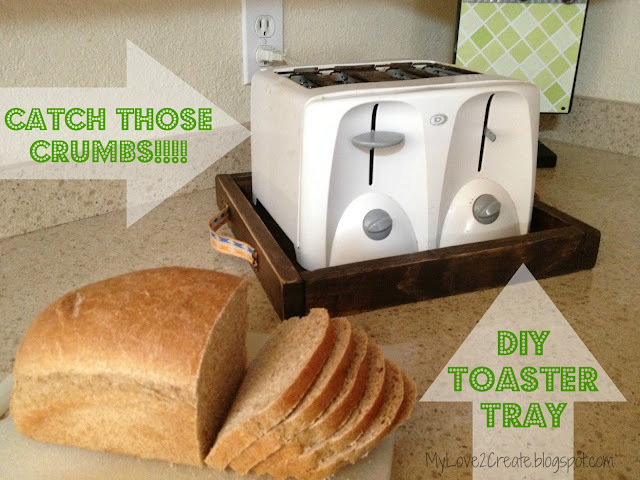 I keep mine on the counter but I would still love to make one for my toaster and keep the crumbs all in one place! I love that you used your dog's toy straps, you will always have a cute reminder of your wonderful companion!! Great idea! I love the dark stain! What a great idea. Never would of thought to do that. I would love it if you would share this over at my link party. Brilliant! I would've never thought to make this but it's so smart. Thanks so much for linking this up to Monday Funday! Just Brilliant! 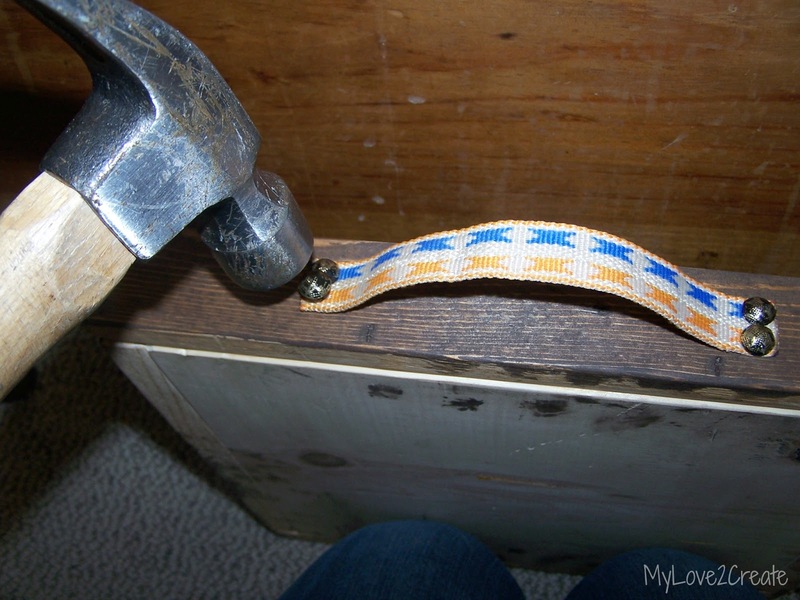 I need to make one of these ASAP Pinning and I clipped it on my hometalk board! So smart! 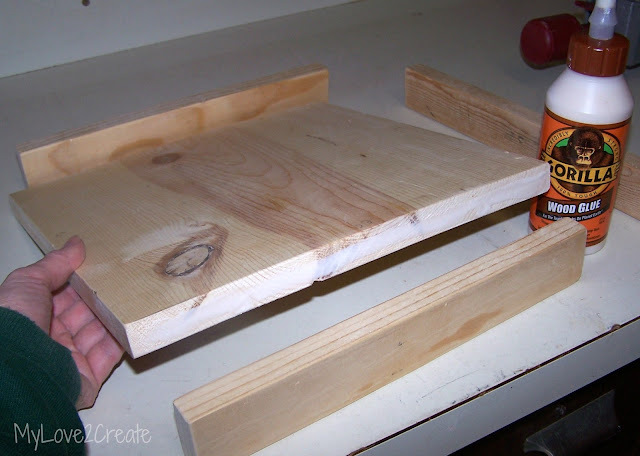 I might have to DIY this too! Oh Yes! This is a perfect solution! They make the crumb traps so small don't they! Yet another honey do project! Thanks for sharing & linking up @ DearCreatives.com BTW have a great Easter!! 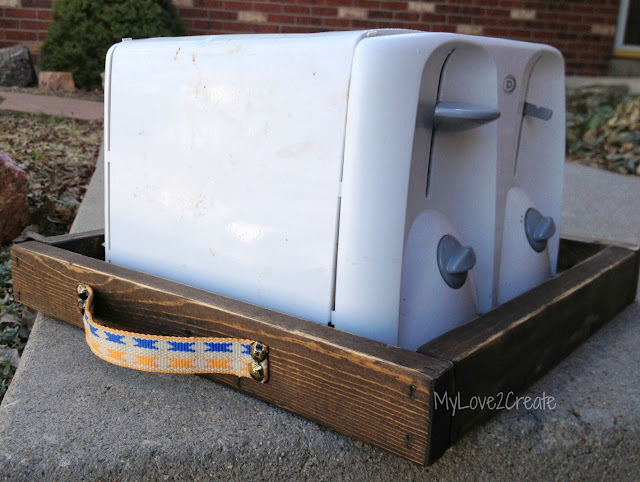 Mindi....I loved this toaster box idea and tutorial so much I featured it on this weeks Link Party at The Patriotic Pam (http://www.thepatrioticpam.com/2013/03/wowza-weekend-link-party-6.html). Please come over and grab the feature button. that is a great idea! thanks for sharing all the directions! 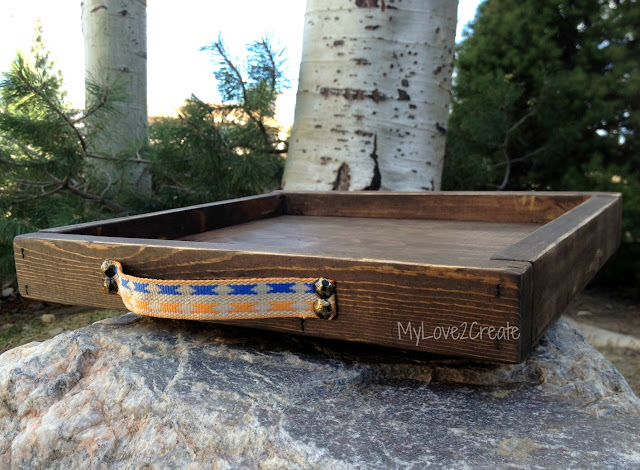 I love how you make beautiful items from things most of us would just toss! Since I first started reading your blog I've been inspired to "shop my scrap pile". It's slowly shrinking! Thanks for all your great tutorials!